You could effectively lower your blood cholesterol levels and enhance your digestive health with the fiber rich Metamucil Smooth Texture Sugar Free Orange health supplement. 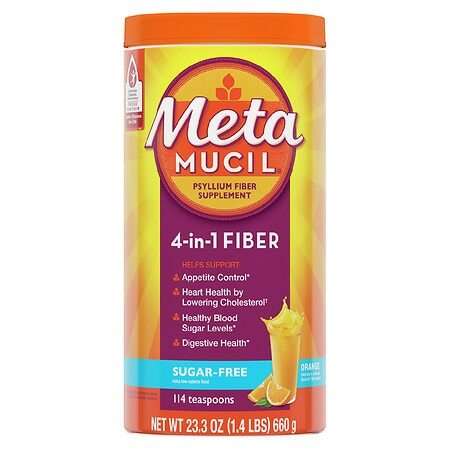 The low glycemic index of this Metamucil Sugar Free Powder makes it a good choice for those who want to reduce sugar in their diet. 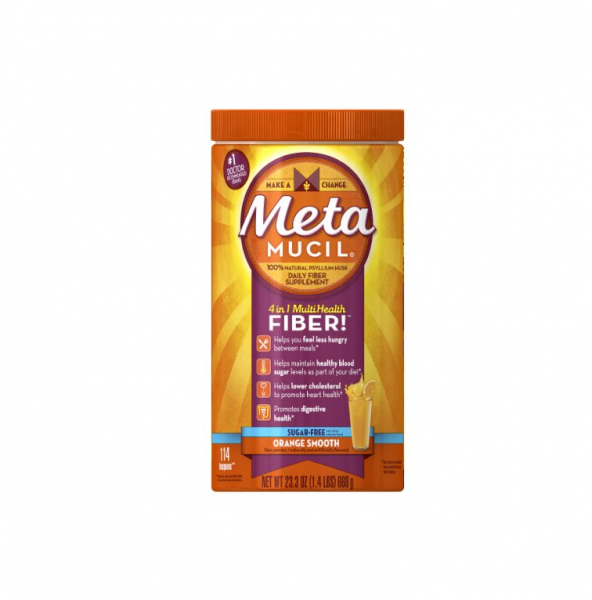 The natural psyllium fiber present in this Metamucil multi health fiber powder is believed to treat constipation and lower cholesterol. Metamucil Smooth Sugar Free Powder, 114 Teaspoons Orange - 23.3 oz.